At Kimbrer Computer ApS (“we”, “our” or “us”), we take your privacy very seriously. Kimbrer Computer ApS is a VAT registered company in Denmark (DK18630931). Our registered office and warehouse address is Messevej 12, DK-9600 Aars, Denmark. How and when do we collect data or information from you? • Or when you exchange business cards with a member of the business. • or invoice you, and to track payments you make or payments made to you. Customers • Name and contact information. • Information and documents relating to the services we are providing, including communications with you. • Billing and payment information. We will retain information about you for the duration of our contractual relationship with you, then for an additional 6 years. We retain financial records for 5 years, following the end of the current financial year. Data is stored on secure DK-based servers. We will retain information about you for the duration of the enquiry, then a further 2 years. Data is stored on secure DK-based servers. • CV and job application. We will retain information about you for the duration of the recruitment campaign, then 3 months. • Information relating to your qualifications and experience. • Information relating to employment. • Description of the services bought. We retain financial records for 5 years, following the end of the current financial year. • Name, company name and email address. We will retain information about you for as long as you stay subscribed to our newsletter. We do not communicate, spread, publish, sell or rent your personal data or information to any third party or share your information with third parties for their marketing purposes. Your personal information in the European Economic Area (EEA) is protected by data protection laws, but other countries do not necessarily protect your personal information in the same way, The EEA covers all countries in the EU plus Norway, Liechtenstein and Iceland. 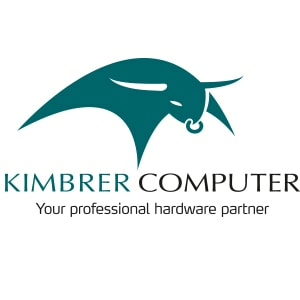 Kimbrer Computer ApS uses online tools which host data outside of the EEA. • The right to have your data restricted or blocked from being processed. The accuracy of your information is important to us. If you change your contact details or if you want to update any of the information we hold on you, please contact us via email sales@kimbrer.com or by phone on +45 96 982 800. If you want to change your email newsletter subscription details or recall your consent, please click the link “Manage your email preferences” at the bottom of each newsletter email. You can also send us an email to sales@kimbrer.com. You have the right to ask for a copy of the personal information Kimbrer Computer ApS hold relating to you. Please contact us by email sales@kimbrer.com or by post at Kimbrer Computer ApS, Messevej 12, DK-9600 Aars, Denmark. Alternatively, you can reach us by phone on +45 96 982 800. You also have the right to lodge a complaint about our processing of your personal data with the Danish Data Protection Agency (Datatilsynet). We use Transport Layer Security (TLS) to encrypt and protect email traffic in line with government standards. If your email service does not support TLS, you should be aware that any emails we send or receive might not be protected in transit. _ga, _gid, _gat Google Analytics gathers information allowing us to understand interactions with our websites and ultimately refine that experience to better service you. Our website uses Google Analytics, a web analytics service provided by Google, Inc. (“Google”). Google Analytics uses “cookies”, which are text files placed on your computer, to help us analyze how users use the site. The information generated by the cookie about your use of the website (including your IP address) will be transmitted to and stored by Google on servers in the United States.